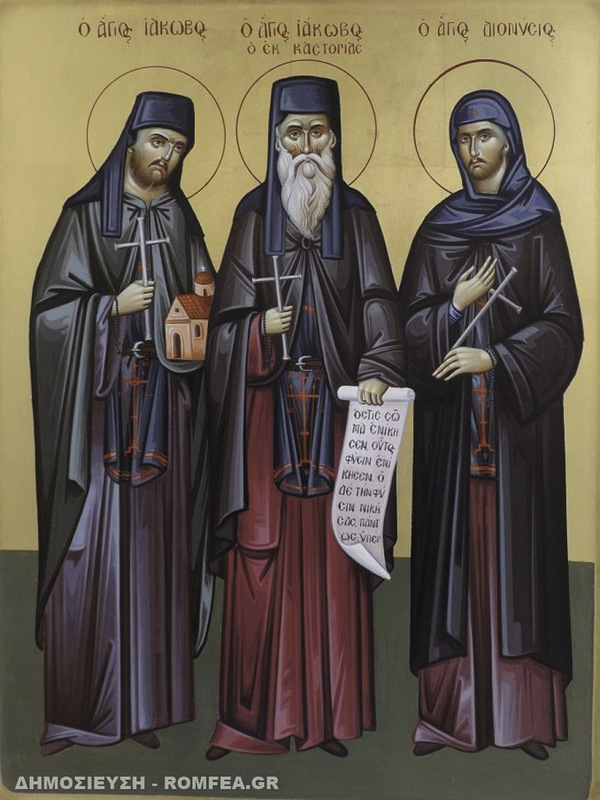 The monastic martyrs James of Kastoria and his disciples, the Deacon James and Dionysius of Prodromou Monastery on Mt. Athos. St James was tonsured on Mt. Athos at the Docheiariou monastery. 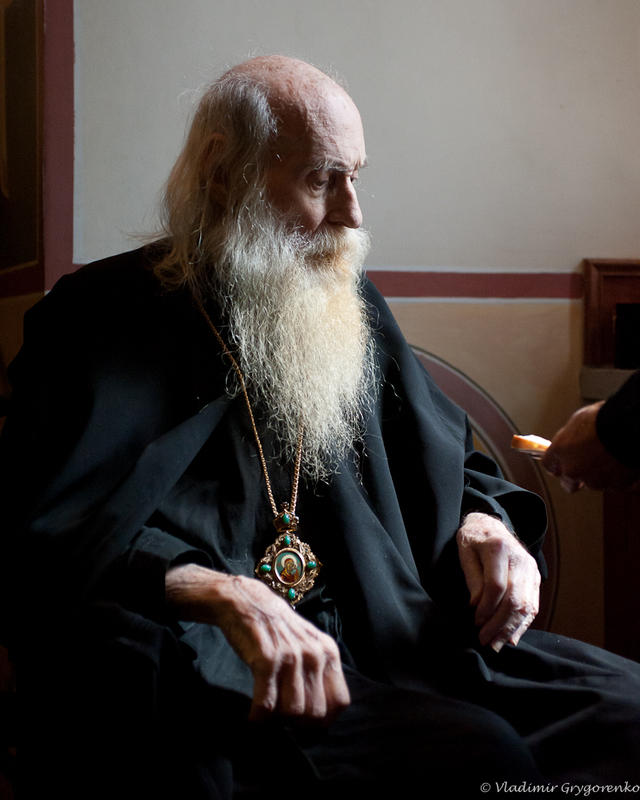 Transferring to the neglected Georgian skete of St John the Baptist, the monk restored it under the supervision of the Elder Ignatius. Fulfilling various obediences in the monastery, St James scaled the heights of purity. He was granted heavenly revelations, just like the Apostle Paul, so the saint also saw the mansions of Paradise and the depths of Hades. By a gift from above, St James perceived the heart’s mysteries and the secret thoughts of those who came to him. The saint also was found worthy of the gift of wonderworking. Visiting with disciples in Aetolia, he worked many miracles, healing the sick and instructing all. The Turkish authorities, fabricated false charges against the monk that he allegedly intended to foment rebellion. In this manner, they attempted to force the saint into renouncing Orthodoxy. But St James and both his disciples, Deacon James and St Dionysius, endured the fiercest of torments over a period of many days. They suffered martyrdom on November 1, 1520. The relics of the Monkmartyrs, glorified by miraculous healings, were placed in the monastery of St Anastasia, Deliverer from Potions in the small town of Galatista, near Thessalonica. 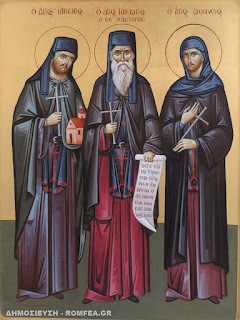 In a short time, the fame of the holy relics attracted about 100 brethren to the monastery under St Theonas (April 4), who himself was a disciple of St James. St. Theonas lived for some time in the Pantocrator and Simonopetra Monasteries on Mt. Athos. 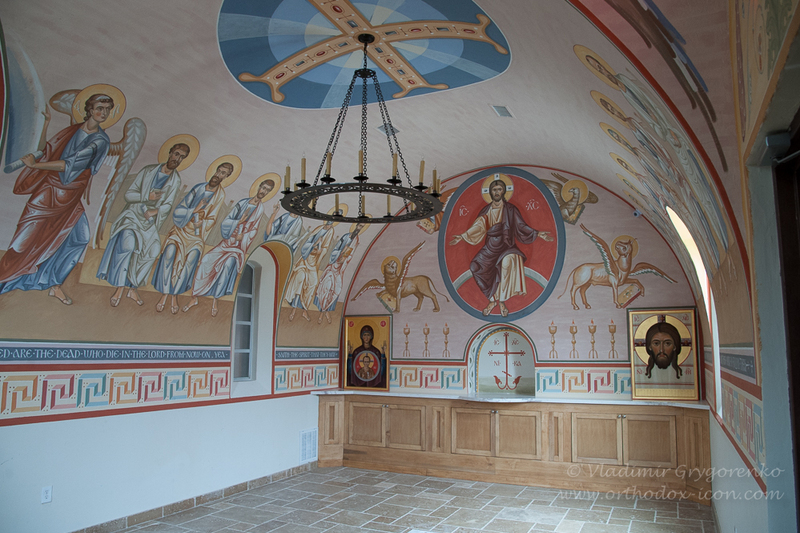 He founded the Monastery of St Anastasia, and was consecrated as Archbishop of Thessalonica. He died in peace. "When we are immersed in sins, and our mind is occupied solely with worldly cares, we do not notice the state of our soul. We are indifferent to who we are inwardly, and we persist along a false path without being aware of it. But then a ray of God's Light penetrates our soul. And what filth we see in ourselves! How much untruth, how much falsehood! How hideous many of our actions prove to be, which we fancied to be so wonderful. And it becomes clear to us which is the true path. If we then recognize our spiritual nothingness, our sinfulness, and earnestly desire our amendment - we are near to salvation. From the depths of our soul we shall cry out to God: "Have mercy on me, O God, have mercy according to Thy mercy!" "Forgive me and save me!" "Grant me to see my own faults and not to judge my brother!" 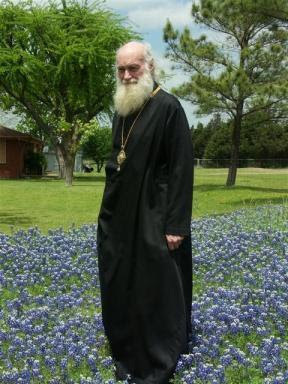 -St. John Maximovitch, "A Word on Repentance"
Note: There has been a lot on the internet in the past week about Archbiship Dmitri (OCA), of Blessed Memory, especially that, during the disinterrment of his body to be buried in the memorial chapel built in his honor, he was found to be incorrupt. This of course is nothing new to the Orthodox Church, and it is by no means the only or even the most important criterion of the godliness of the Saints. Yet, many take it as a sign and a blessing nonetheless. If we keep things in perspective and await the passage of time, the blossoming of devotion towards him in the hearts of the faithful, and the revelation of wonders through his prayers, God may continue to reveal him as the holy man that it seems that he was. And furthermore, all contemporary Saints are important for us, because they are another sign that God continues to live and work wonders in His Church, and will do so until the close of the age. May we follow the Archbishop's life and example in order to grow closer to Christ this Great Lent, to be able to partake of the Risen Lord, Who raises those dead in body and soul, granting us eternal life and incorruption. Picture of the interior of the beautiful memorial chapel built to house the body of Archbishop Dmitri of Dallas, in the church of St. Seraphim that was founded by him (source) For an excellent interview with the designers of this beautiful chapel, see here.